The Fillmore County Journal is a family-owned weekly newspaper located in Preston, Minn. — the county seat of Fillmore County. Audited by the Circulation Verification Council, the Fillmore County Journal distributes 13,500 copies of the weekly newspaper in Canton, Chatfield, Fountain, Harmony, Houston, Lanesboro, Mabel, Ostrander, Peterson, Preston, Rushford, Rushford Village, Spring Valley, Whalan, Wykoff. With the news coverage of 15 city councils, seven school districts, and Fillmore County government, the reporters of this newspaper are constantly busy with meetings nearly every night of the week. And, occasionally, the news staff gets involved in covering a hot issue in one of the townships of Amherst, Arendahl, Beaver, Bloomfield, Bristol, Canton, Carimona, Carrolton, Chatfield, Fillmore, Forestville, Fountain, Harmony, Holt, Houston, Jordan, Money Creek, Newburg, Norway, Pilot Mound, Preble, Preston, Spring Valley, Sumner, York, and Yucatan. In addition to government news coverage, the Fillmore County Journal publishes obituaries free of charge for the locals of our region. Not many newspaper still publish obituaries at no charge. We are fortunate enough to be able to continue that tradition due to the financial support of our local advertisers. We also publish the most lively commentary pages in our region, full of local opinions about issues important to our readers. These commentaries also prompt online comments, which adds to the flavor of these local opinions. We have a very passionate and engaged audience. Our sports coverage is outstanding! No joke! 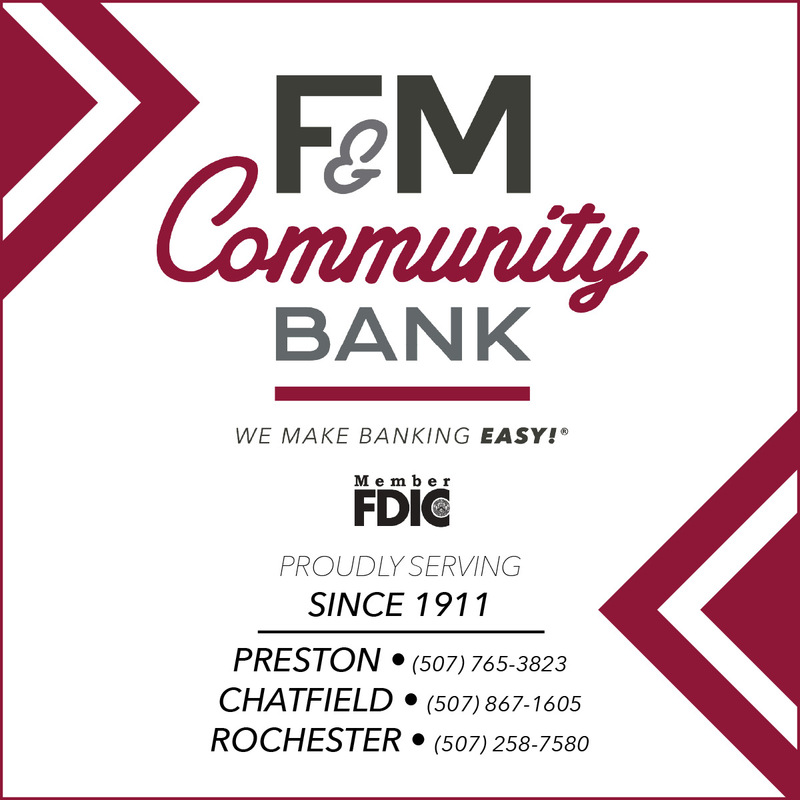 We cover the Chatfield Gophers, Houston Hurricanes, Fillmore Central Falcons, Mabel-Canton Cougars, Lanesboro Burros, Rushford-Peterson Trojans, and Kingsland Knights, and we are proud of our sports coverage every single week. And, then there is our Social Scenes section dedicated to announcements for births, engagements, weddings, anniversaries, retirements, and military service. Aside from the obituaries, the next most-read feature in the Fillmore County Journal is the police and court reports. Along with all of this great news coverage that makes this weekly publication an official legal newspaper of record for Fillmore County, the news staff provides heartfelt human interest stories that help readers better understand the perspectives of others. And, all of this is made possible only with the help of local advertisers. Because, the Fillmore County Journal is delivered free to all local households in the aforementioned news coverage area. We have a philosophy that we only distribute our newspaper in communities where we provide news coverage. It needs to be relevant to our readers. This newspaper was started in 1985 by Richard and Esther Kelly, husband and wife, along with business partner Larry Salge. Shortly after the launch of the newspaper, Larry Salge left the partnership. The Kellys continued with publishing the weekly newspaper until they sold it John and Patricia Torgrimson in 1997. From that point forward, the Torgrimsons owned and operated the newspaper until they sold the publication to Jason and Amanda Sethre in 2009. While owning and operating the Fillmore County Journal, the Sethres have re-branded a Guide to Historic Bluff Country to be recognized as Visit Bluff Country Magazine — originally established in 1985. This premiere tourism magazine has evolved into the most widely distributed visitors guide of its kind. 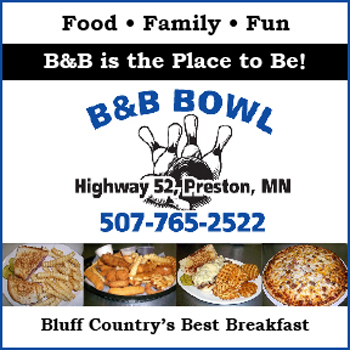 With more than 50,000 copies in circulation to over 1,000 locations in 35 counties in Illinois, Iowa, Minnesota, and Wisconsin, Visit Bluff Country Magazine is the most sought-after tourism publication serving the four state area. 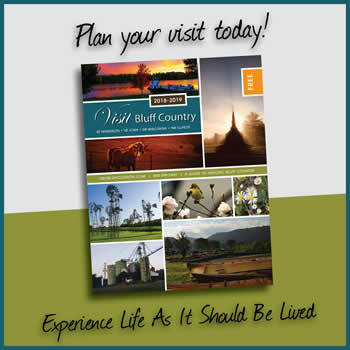 The publication is available in print and online at www.visitbluffcountry.com. Another venture launched by the Sethres started in October 2009 and has grown year-after-year to serve local and national businesses seeking an online presence. This company is named SMG Web design, and more information can be found at www.smgwebdesign.com. In addition to the newspaper, a high quality glossy printing company was developed to better serve clients seeking specialty print services. This print operation named Perfect Glossy has become a household name, also found at www.perfectglossy.com. Starting in November 2014, the staff at the Fillmore County Journal began the journey of publishing a book that would become a legacy project for the newspaper. This beautiful hardcover perfect-bound book became known as Boots & Badges: Honoring Fillmore County Veterans. In February 2016, this book was presented to the public at the Preston Servicemen’s Club with the support of the Fillmore County Veterans Affairs Office, Preston VFW, Preston American Legion, and F & M Community Bank. There are more than 3,400 Fillmore County (Minn.) veterans represented in Boots & Badges: Honoring Fillmore County Veterans from generations spanning eras from the War of 1812 to the second Iraq War. More information can be found at www.fillmorecountyveterans.com. Year-round, if you are interested in stopping by the Fillmore County Journal office to meet the amazing staff, please be aware that they have freeze pops in the freezer available at all times. In 2017, Fillmore County Journal Creative Director Jana Boyum was recognized as one of the Top 25 Under 35 in the United States by Editor & Publisher Magazine. In January 2018, the Fillmore County Journal was honored at the 151st annual Minnesota Newspaper Association with three awards: Website, General Reporting, Advertising Excellence. There are 244 newspapers in 87 counties throughout the state of Minnesota, so the team at the Fillmore County Journal is honored to receive this recognition.